Caribbean GeoTextile Tubes are a fast and relatively inexpensive method of Hurricane Storm protecting a homeowner’s property. The aesthetically pleasing sand colored tubes are hydraulically filled with on-site or imported sand and placed along shorelines for erosion control. 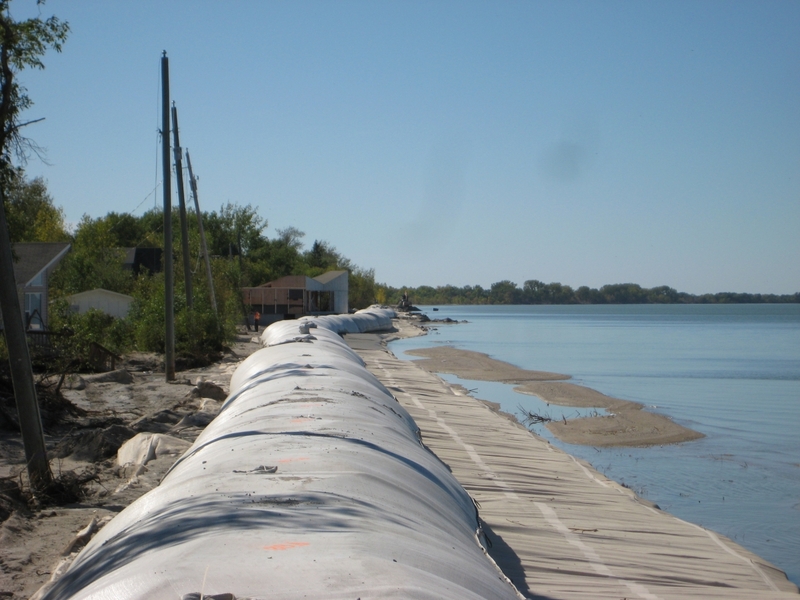 Caribbean GeoTextile Tubes have the highest UV protection in the industry and their durable rip-resistant fabric minimizes damage caused by debris or vandalism. Since geotextile tubes are considered "soft" armored structures, they are generally easier to permit than "hardened" structures such as riprap or concrete. Our experienced engineers can assist the project designer in selecting the right products and the right design to provide a long lasting and functional structure.